In 1969 a group of Nelson fishermen towed the first mussel raft into the Marlborough Sounds and anchored it in the Kenepuru. Within a decade, cultivated mussels were on the menu, the first exports had been shipped and New Zealand’s first purpose-built mussel processing factory was on the drawing board. But the men and women who put their lifestyles on the line endured years of financial insecurity, physical hardship and heartache before their vision of sustainable agriculture was realised. This was an industry started by thinkers and tinkerers, an industry where there were no blueprints and the most basic equipment had yet to be invented. Engineers and mechanics built and modified machinery in their backyards, marine biologists worked alongside accountants, surveyors and dairy farmers to grow the product, and housewives learned to manage boats, splice ropes and sort mussels on the rolling decks of modified rafts and barges. This is the story of modern day pioneers who have grown an industry from a dream in less than 40 years. 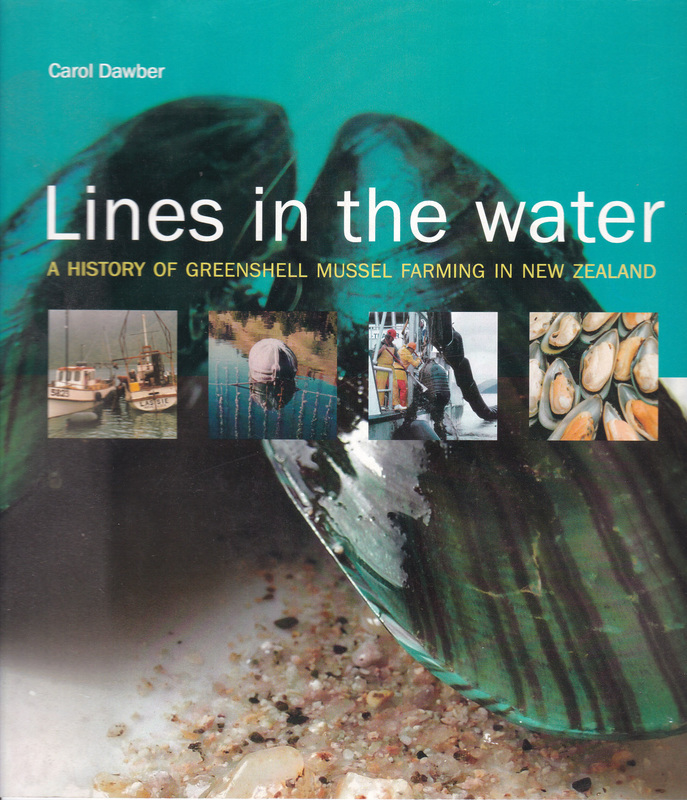 Published by River Press 2004 for NZ Marine Farming Association.